Today witnessed the inaugural tasting by the fromage du mois triumvirate. The simple, yet classic Emmantaler was selected by our very own Fontina Turner. The curdled milk of this fromage originates from the Emme valley in Switzerland, a highly bucolic region known for dairy farming and the robust Emme river. Although endemic to this valley the name Emmantaler is also used to describe cheeses originating in France and Bavaria. The common variant found in the United States, known as Swiss cheese, is not authentic Emmantaler. The "eyes" of the cheese are created by bacteria off-gassing carbon dioxide during the aging process. The larger the "eyes", the longer the cheese has been aged. 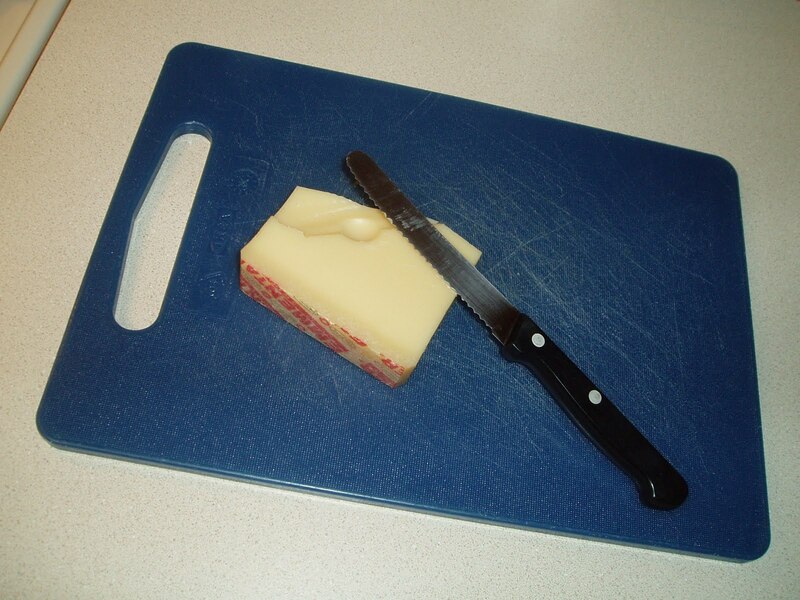 Larger "eyes" make the cheese harder to slice, however, which is why the American variant is typically younger. It behooves the amateur cheese lover the recognize the distinction between this holey cheese found in delis and mom's fridge and the true Emmantaler. The Emmental is readily found in American grocery stores as well as specialty wine and cheese shops. Other countries have produced similar cheeses such as Jarlsberg (Norway) and Leerdammer (Netherlands). The Emmentalers sampled ranged in price from $5.99 to $7.99 US dollars / pound. I purchased my “Emmi Emmantaller” at whole foods in la jolla. The purchase itself was very unassuming and I hope to improve this process for the next tasting. I found this fromage creamy and slightly bitter. The flavors of the cheese were enhanced after I left it out of the refrigerator for about 20 minutes. I obviously enjoyed the long, almost nasal taste followed by a sparkling clean finish. This cheese does not prevaricate. My specimen had about 3/4” diameter eyes, indicating reasonable age. I could tell no difference between the area close to the eyes, and the area further from the eyes. Although a “good” and “consistent” cheese, I honestly can’t say when I would buy this cheese. Perhaps I’ve been tainted with the pedestrian nature of American Swiss, but if I’m to go big on the fromage, I would choose something more exotic. I must say I agree with the assessments of the humble Emmental (as it is labelled in my local Sainsbury's), and found it to be pleasant but lacking in personality. I did appreciate the slight nutty flavour, but I believe that this flavour would be better suited to pairing with other, sharper flavours. It didn't seem to be a cheese that stood up for itself terribly well on its own. I was interested to learn about the origin of the holes, but was also interested to note that my sample had very few, if any, significant holes. I would like to find out where the nutty flavour comes from, and I look forward to reading about this in our text. In conclusion, I feel that for an opening-night cheese, this one was less than 'red carpet'. I will endeavour to select a more interesting cheese next time. Au contraire about our opening-night, red carpet fromage, mes chers amis! I think the emmental was a simple and elegant first choice for 'le premiere'; nothing too complex or "holier-than-thou" . What a perfect way to start off fromage-du-mois! A heavily centrist approach! We steered well below something like an aged gruyere(enjoyed by Wine-and-Cheese-Liberal set) and comfortably above a delicious, simple white Vermont cheddar (bring this crate up to the general store for pricing, Harrison). In some ways the Emmental is the Bill Clinton of cheeses, brilliant yet also simultaneously average. So, I enjoyed this cheese both right out of the refrigerator and about 30 minutes later at room temperature. I think some of its mildly sharp taste comes out after it sits in room air for 20+ minutes. In general, this is a smooth and pleasant cheese, milky and semi-soft. I did notice a nutty flavor, as Fontina pointed out, but it is not overwhelming and this flavor churns comfortably around the palate after a couple of minutes. I think Goudacris put it fabulously when he said this is a 'consistent' cheese, steady in flavor and quite nice, with limited to no gustatory oscillation. I think it would be nice to visit the dairy farmer villages of the Emme Valley in Switzerland, where this cheese started. Where do we go from here? As we await Fromage du Mois's unofficial text accompaniment, Cheese Primer (by Steve Jenkins), I think we can forsee some wonderful cheese choices coming up, with exciting personalities and abundance of flavors. 1) The Way of the F-du-Mois (October 2006): The cheese triumvarite (consisting of Fontina, Ricky, and Gouda) esch sample a pre-selected cheese on the same day, once a month, virtually, so that the shared experience, while unifying, is also geo-spatially segregated to the East Coast, West Coast, and the UK.